Over the course of a few years, I’ve slowly transitioned my own meat-loving husband and our daughter (with minimal kvetching!) into a primarily plant-based diet that consists of vegetables, fruits, tubers, whole grains, and legumes. I know eating more plant-based food and less meat and dairy is possible for you and your loved ones, too. The benefits are personal and universal. 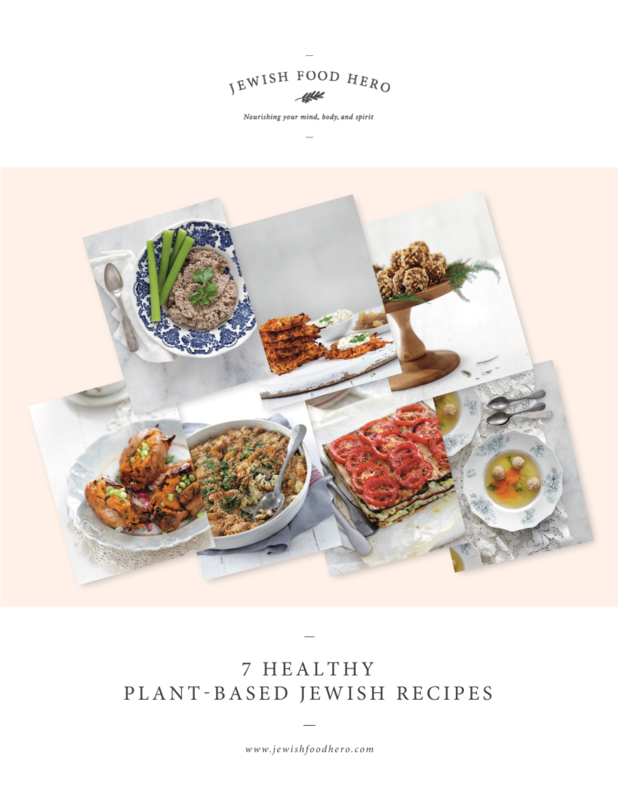 Get my FREE cookbook: 7 Healthy Plant-Based Jewish Recipes (digital PDF download), by entering your name and email below.